The MEMOLA project is well aware of the urgent need to safeguard the tangible and intangible cultural heritage values associated to the traditional agroecosystems. Under this context, one of our main targets is the analysis of the impact of the regional, national and European policies on these systems and the development of recommendations and proposal for policy makers. 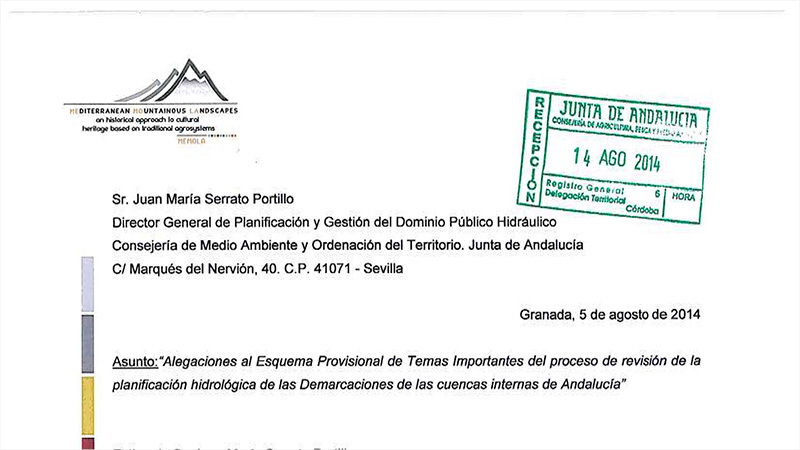 MEMOLA submitted claims within the water planning review process of one of the study areas watershed, Cuencas Mediterráneas Andaluzas, Spain. The target was the inclusion of the protection and preservation of the historical irrigation systems. 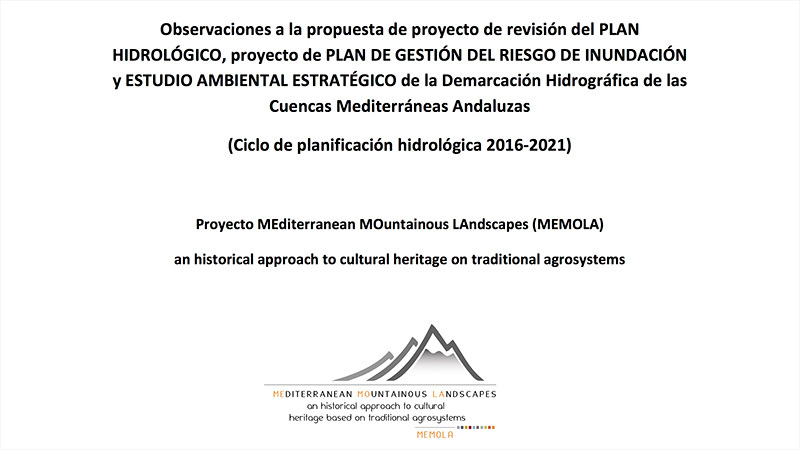 Comments on the draft revision of the River Basin Management Plan (2015-2021) based on analysis of the impacts on the historical irrigation systems in the Andalusian River Basins (Spain), submitted to the Water Planning Agency. 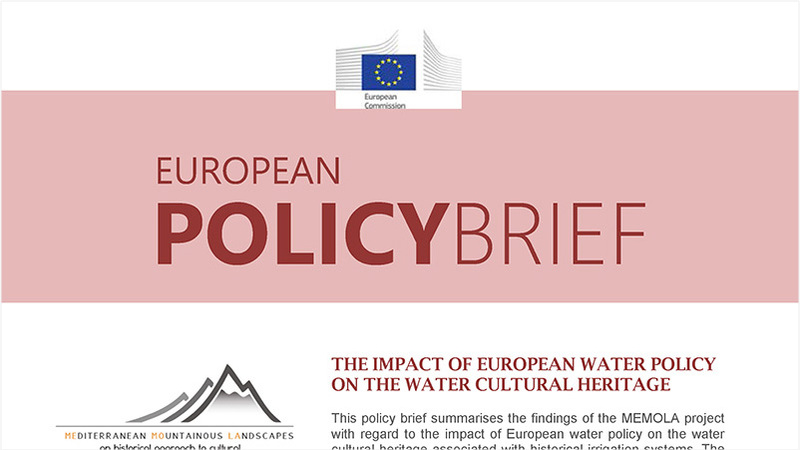 This document summarises MEMOLA project findings with regard to the impact of the European Water Policy on the cultural heritage associated with historical irrigation systems. Downoad the full document in PDF format. 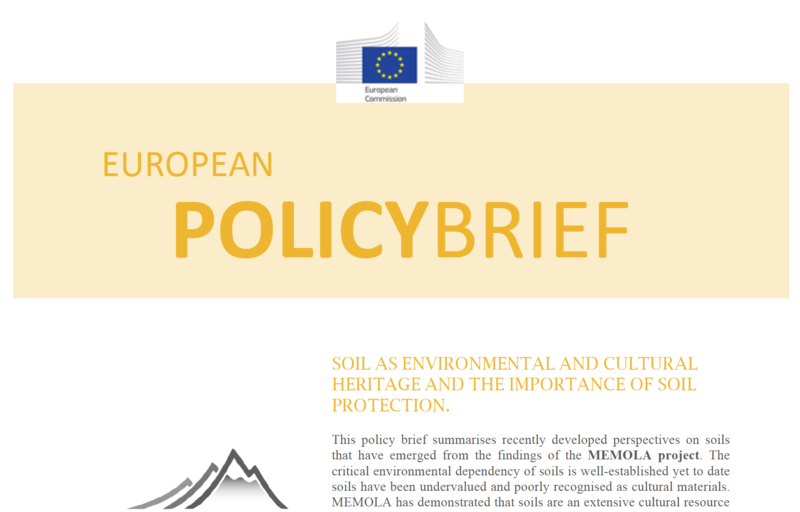 This policy brief summarises recently developed perspectives on soils that have emerged from the findings of the MEMOLA project. Downoad the full document in PDF format. 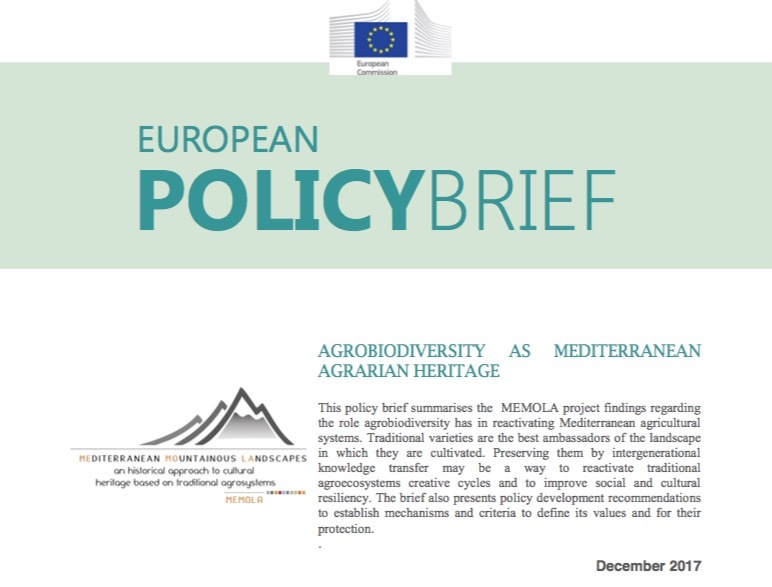 This policy brief summarises the MEMOLA project findings regarding the role agrobiodiversity has in reactivating Mediterranean agricultural systems. Downoad the full document in PDF format.